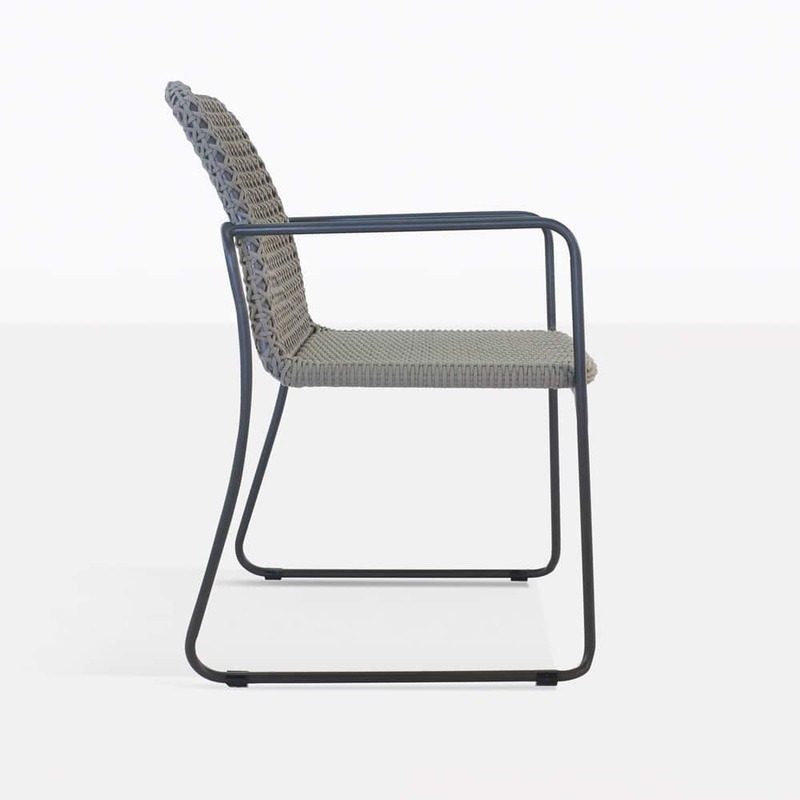 Add style and depth to your dining area with the Kelli Rope Chair. 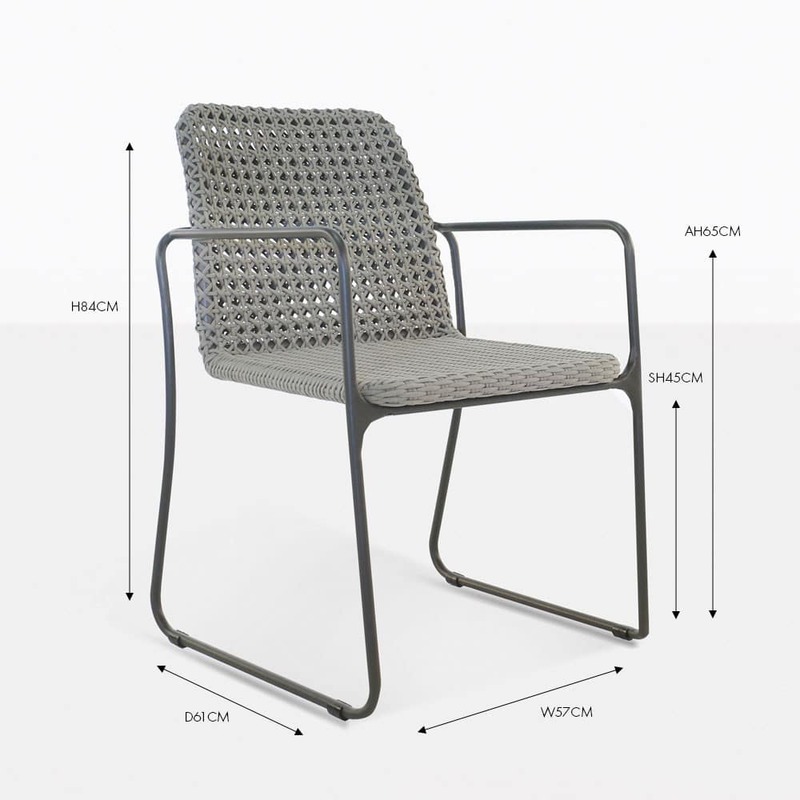 The sophisticated design is complex and contemporary. 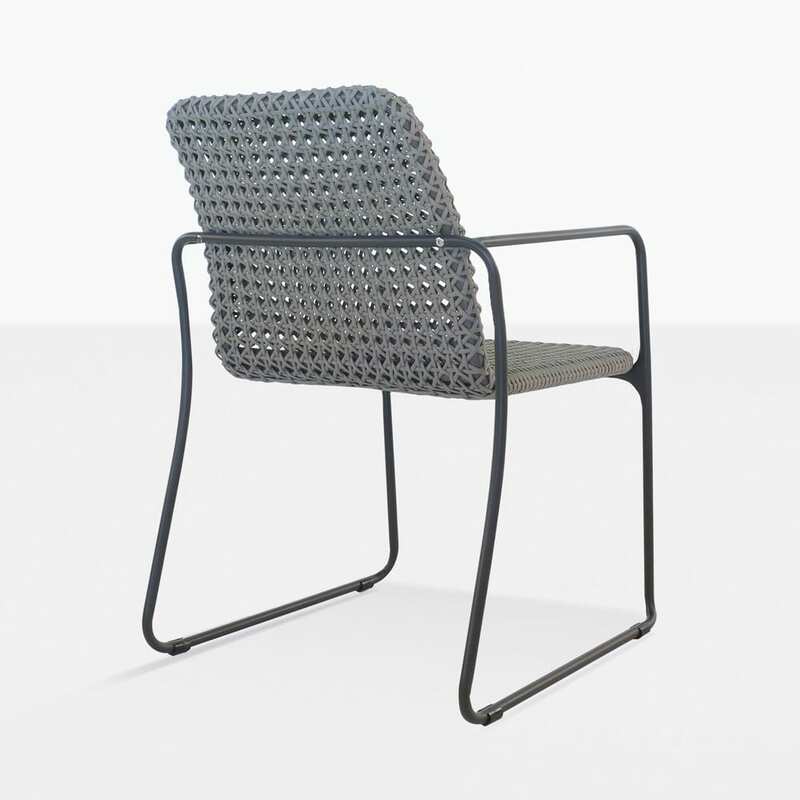 The powder-coated aluminum frame has a woven seat and back support. These have the perfect amount of give so that no cushion is needed. 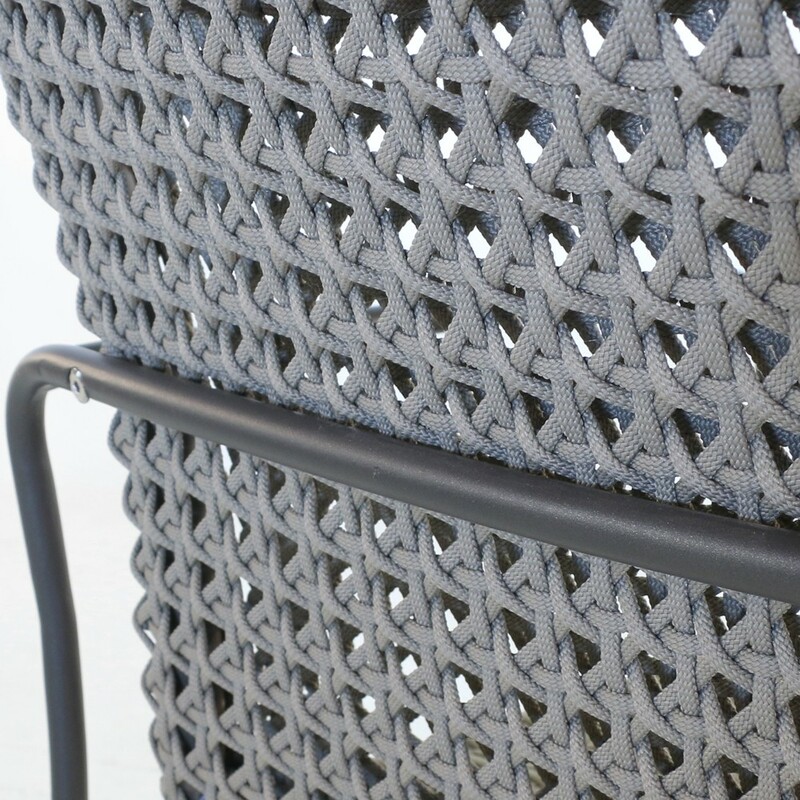 The frame is then expertly woven with high tech rope that is made for outdoor use. The curve of the slender legs and the rounded edges and woven pattern are interesting design elements and that will be sure to add a high style look and feel to your dining setting. 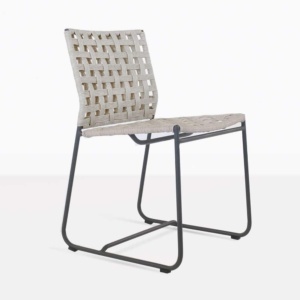 You can choose to pair the Kelli Outdoor Dining Chair with many different styles of dining tables. It will go lovely with a-grade teak, reclaimed teak or concrete, you get to choose! Create a fabulous grand dining set for 12 people or choose a smaller more intimate set for 2. There are so many options at Design Warehouse. Our qualified staff look forward to assisting you.